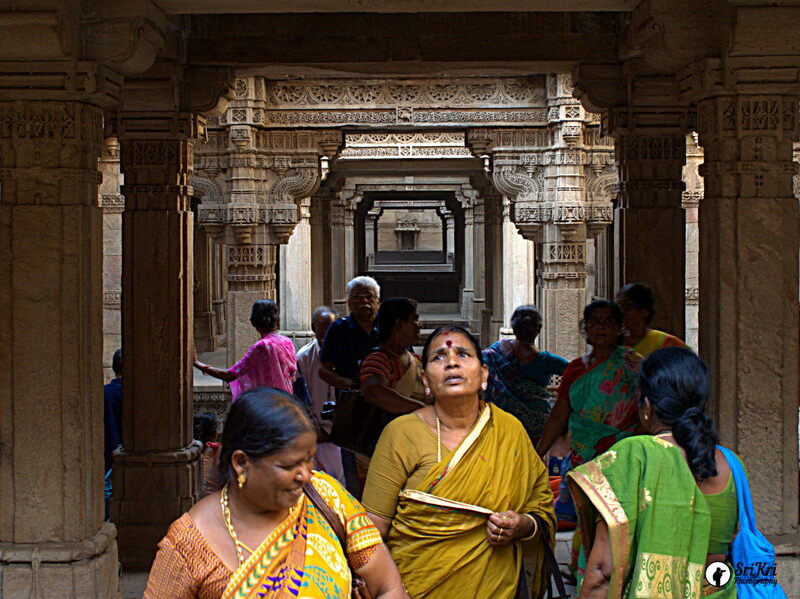 Times group in assosiation with Gujarat tourism organized 'Ahmedabad Heritage Photography Trail'. It was a 2 days event. 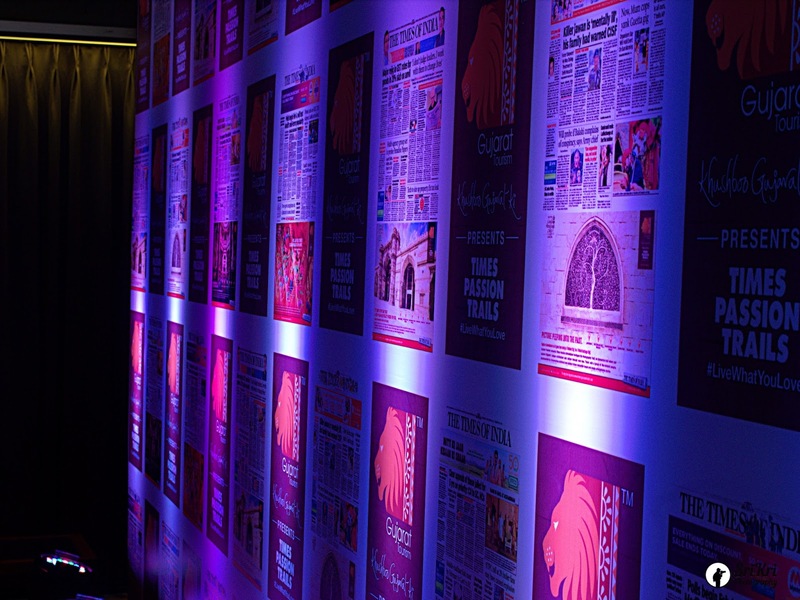 The event was well organized. There were about 50 enthusiastic photographers from different parts of India. I was one among them. Mr. Debashish Nayak guided us through the trail. He is the advisor of heritage program to the Ahmedabad municipal corporation. The event was flagged of by the Gujarat Governor Mr. Om Prakash Kohli. The trail theme was 'mandir to masjid'. 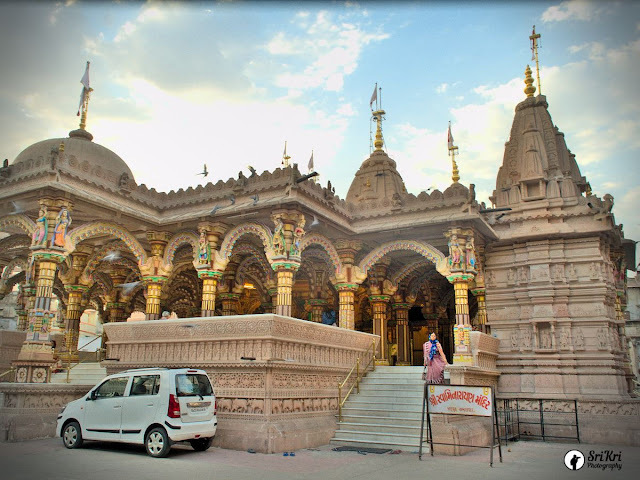 The itinerary were: 'The House of MG, Siddi Saiyad Jali Mosque, Adalaj Stepwell, Sarkhej Roza, largest utensil collections museum 'Vechaar' at Vishala, Swaminarayan Temple, Poet Dalpatram Memorial Chowk, Chaumukhji ni Pol, various Jain temple, Haveli, Jumma Masjid'. Finally there was a session on heritage and photography. 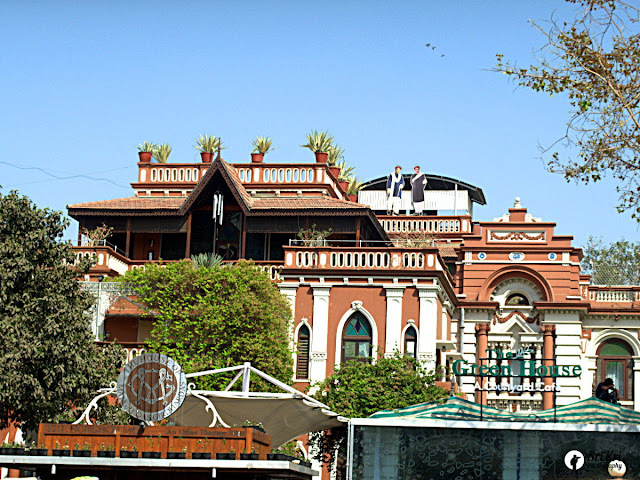 It is one of the old haveli which was beautifully restored. 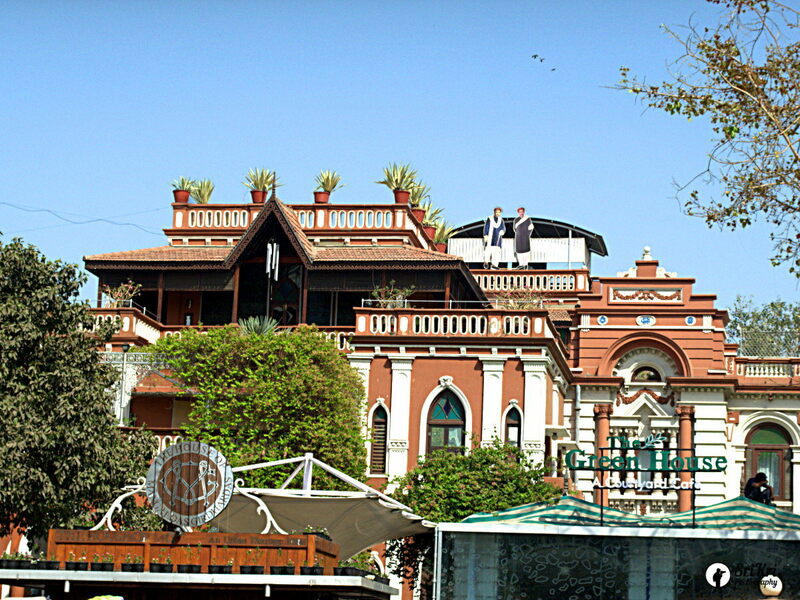 This is a heritage hotel around 5-6 km from Sabarmati Ashram. This is located just opposite to 'The House of MG'. The mosque was completed in the year 1573 and is one of the most famous mosque of Ahmedabad. 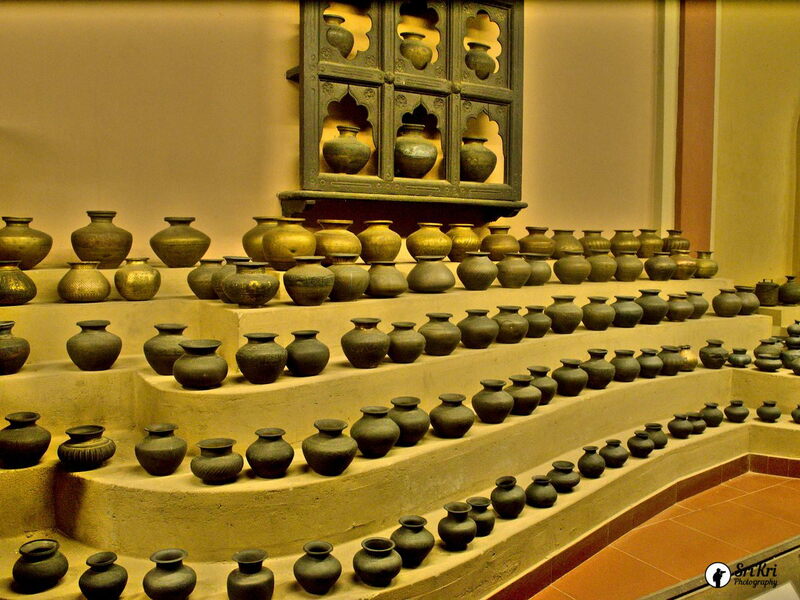 This is the last significant monument from the Sultanate period. It was built by Sidi Sayyid. 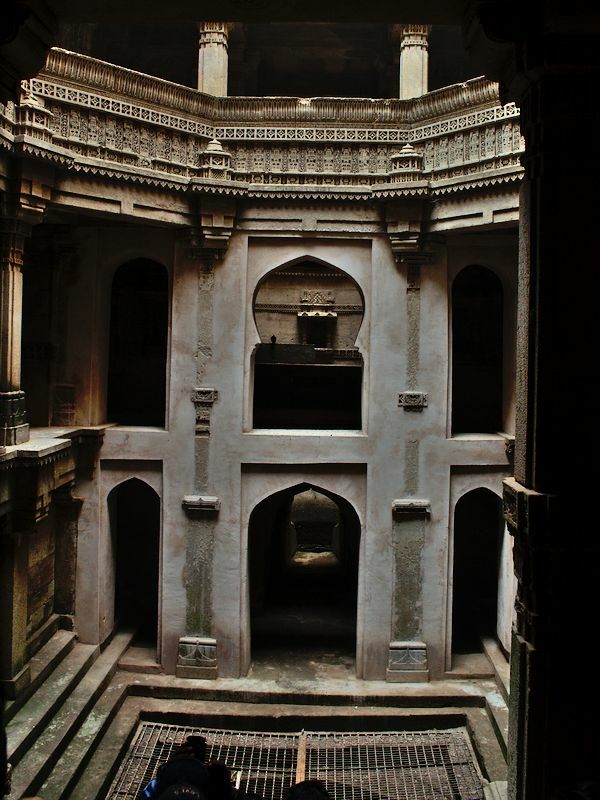 'Adalaj Step well' also known as 'Adalaj ni Vav'. 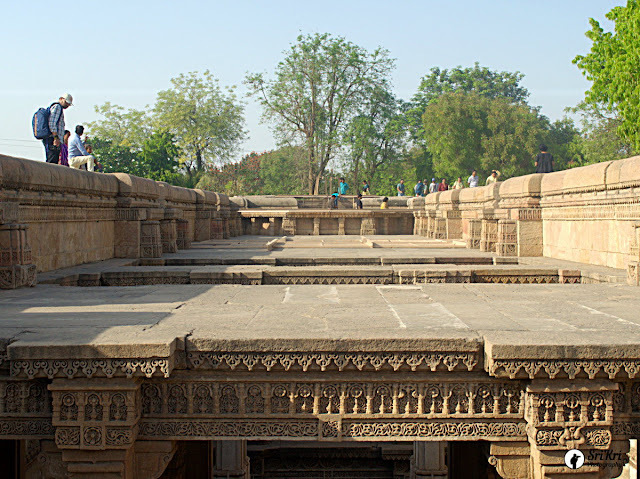 In Gujarati, the stepwell is called a Vav. It was built in 1499. It has five stories with beautiful carvings. 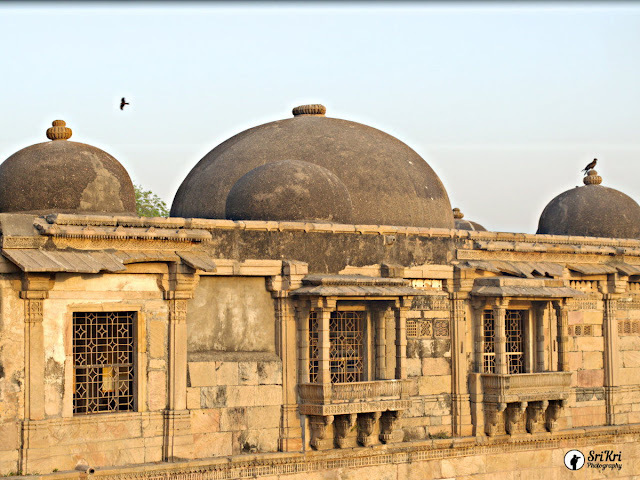 This comprise mosque and tomb. 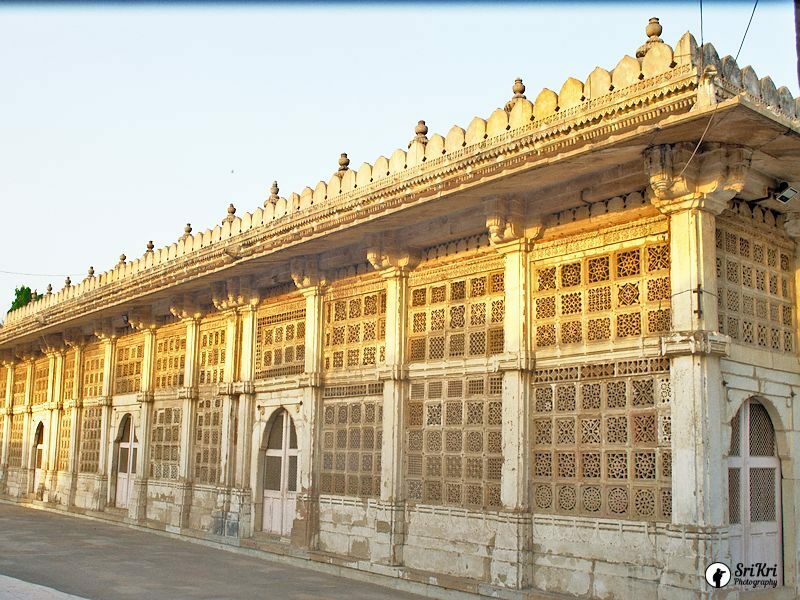 It also has 16-pillared pavilion built in honour of Sufi saint Shaikh Ahmad Khattu Ganj Bakhsh who was spiritual advisor to Sultan Ahmed Shah. 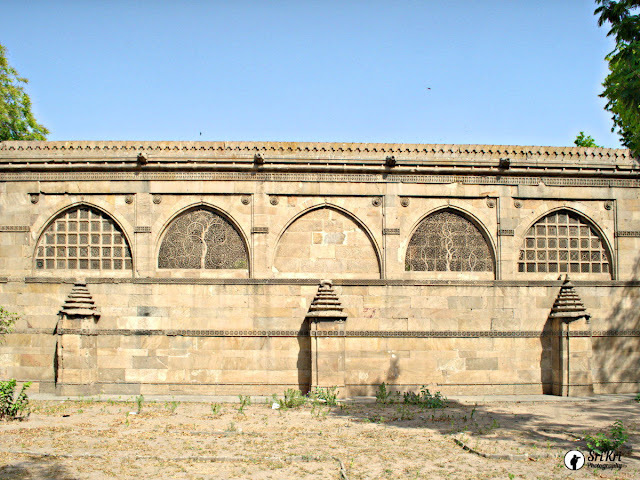 Sarkhej was a prominent center of Sufi culture in the country. 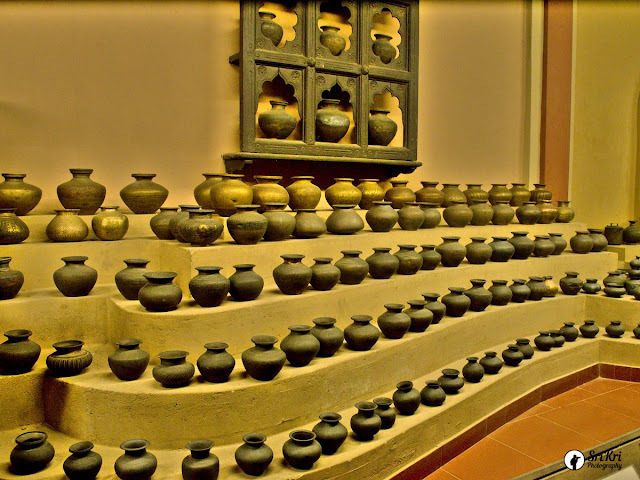 Day 1 of our trail concluded with the visit to Vechaar utensils museum which is a part of Vishalla, a traditional restaurant. 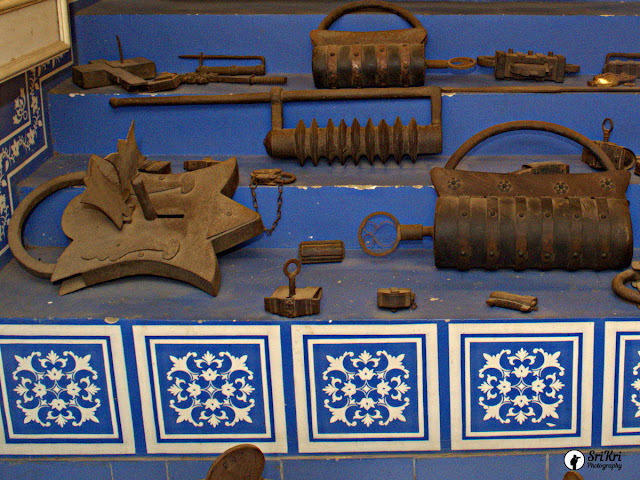 This museum hosts a variety of ancient to present time utensils and other tools. 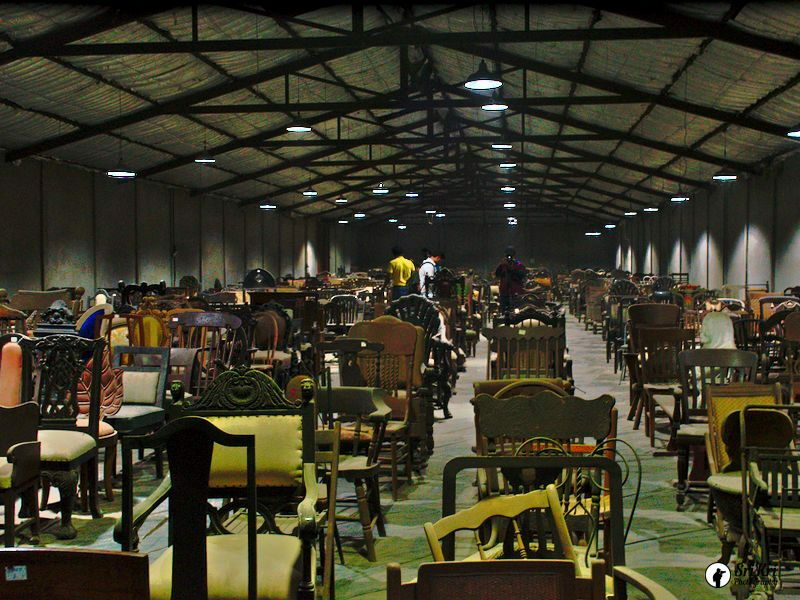 They also have 'chair museum' in the same compond. 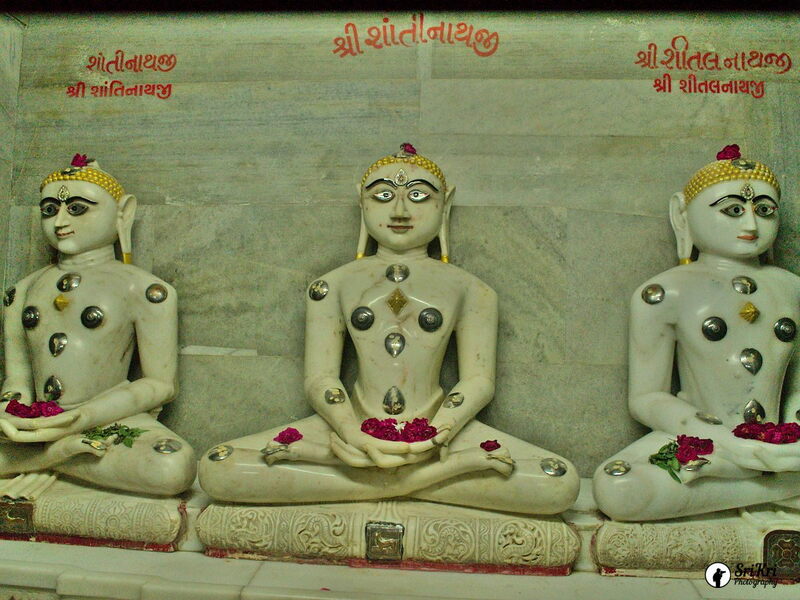 Day 2 of our heritage walk started with this temple which is located in Kalupur. 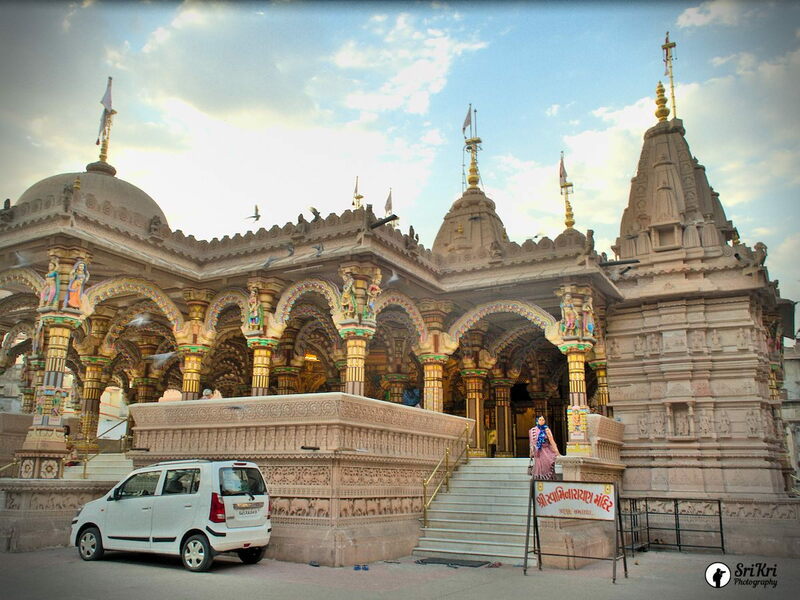 This is said to be the world's first Swaminarayan temple. This was built in the year 1822. The havelies (mansions) are located to the west, east and north of the temple. Dalpatram was a great poet who supported social reforms in Gujarat. 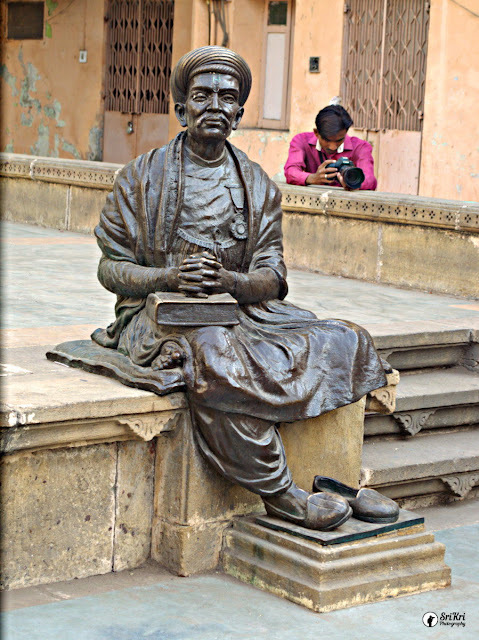 In tribute to his contribution to Gujarati culture and literature, Ahmedabad Municipal Corporation (AMC) and the citizens of Ahmedabad proposed a memorial at the site of his house. The key feature of statue is life like appearance with every possible details attached to it including texture of the shawl. This Masjid is also known as Jami or Jama Masjid. This was built in 1424 during the reign of Ahmed Shah I. 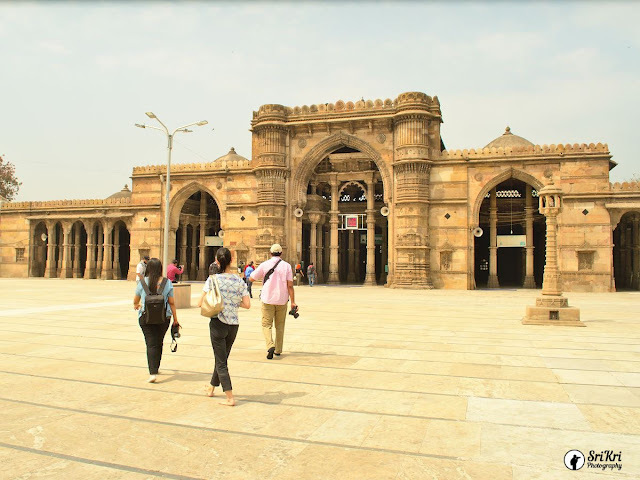 It is considered one of the largest mosque in Gujurat. 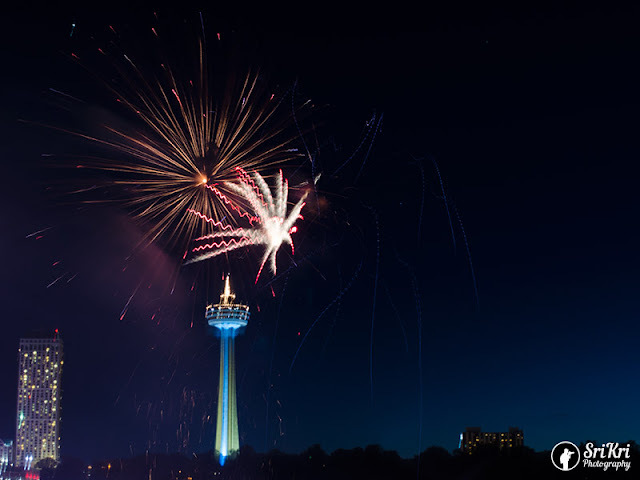 Another great way to enjoy fantastic views of Niagara Falls is from the Skylon tower which is located few meters away from the falls. 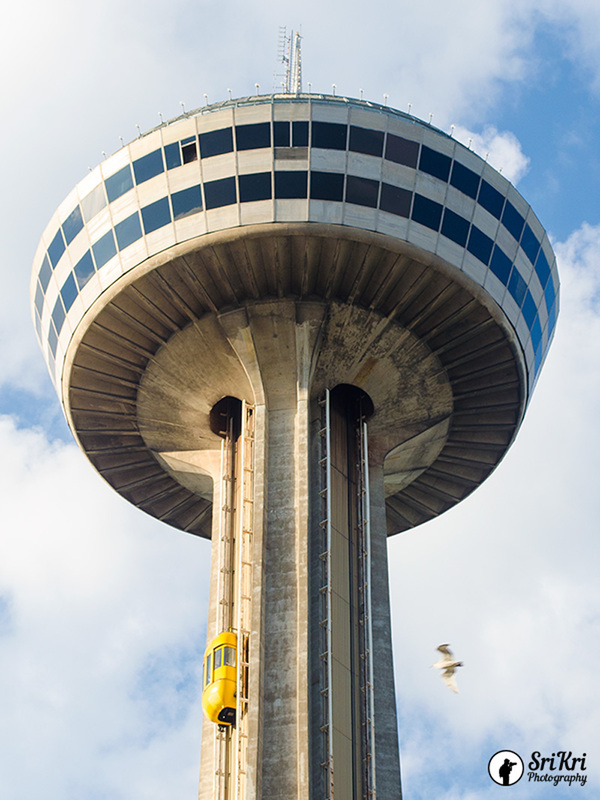 This has revolving dining room restaurant which rotates 360 degrees and observation desk. 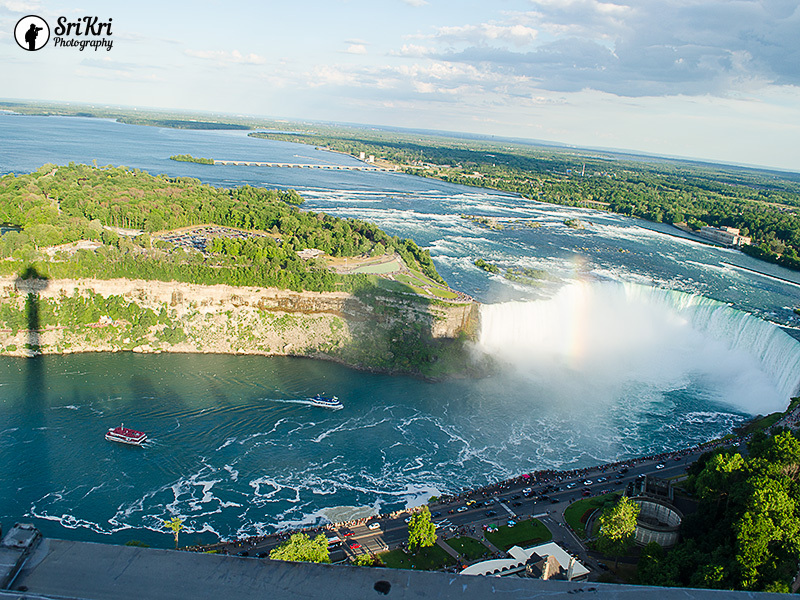 The ride to observation desk in glass enclosed elevators was smooth and one can enjoy the spectacular views of the falls. It takes just 52 seconds to reach the top. Skylon tower which is regions tallest stucture. It has interior and exterior observation desk. 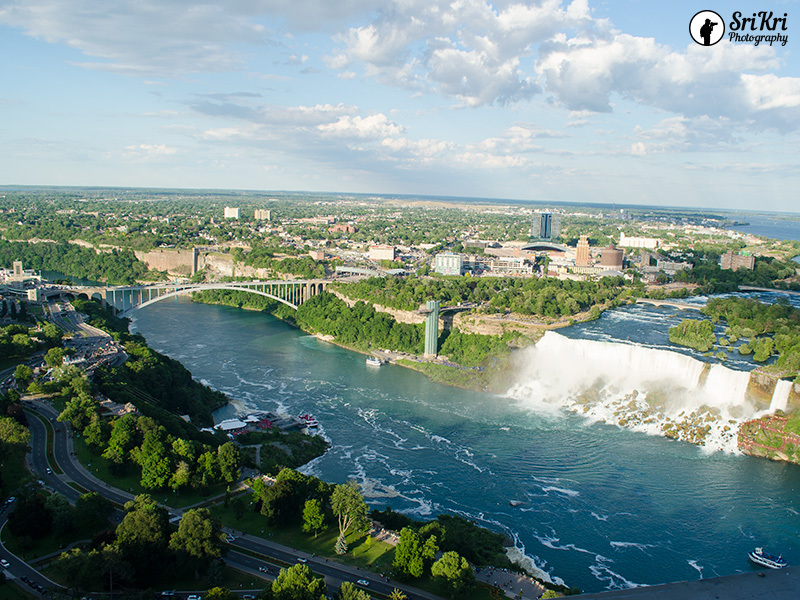 From here one can view American Falls, Canada Falls and the Niagara River. 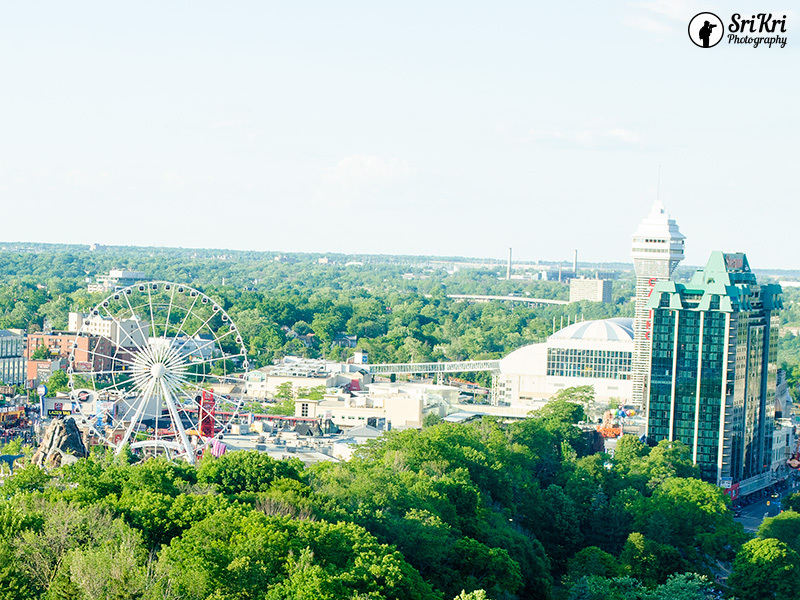 It was fun watching the aerial view of the falls and the city at the end of the day. 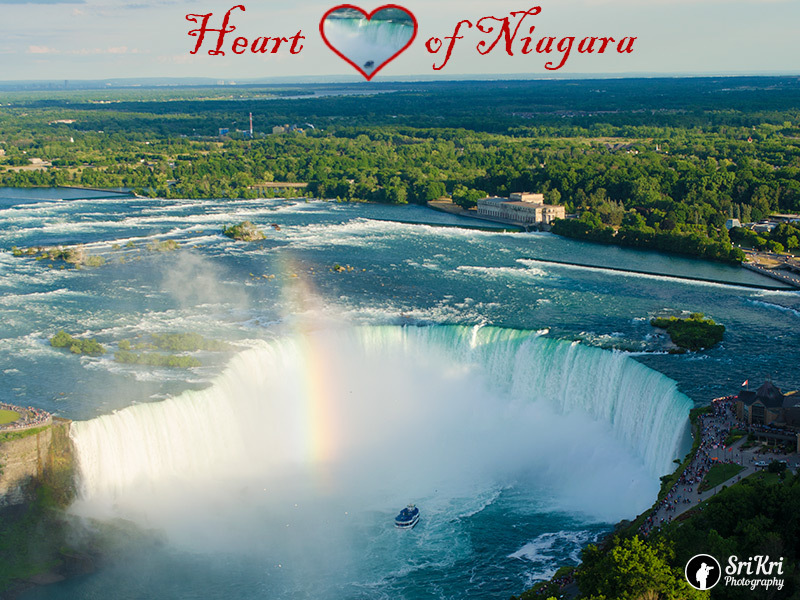 This place is located approximately 1 km away from Niagara falls, on the Niagara pathway. 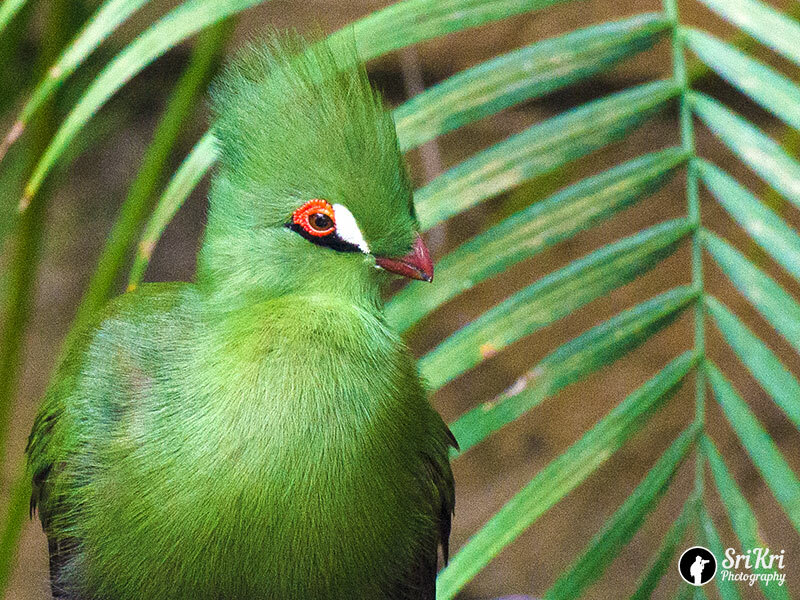 This is world's largest indoor aviary. 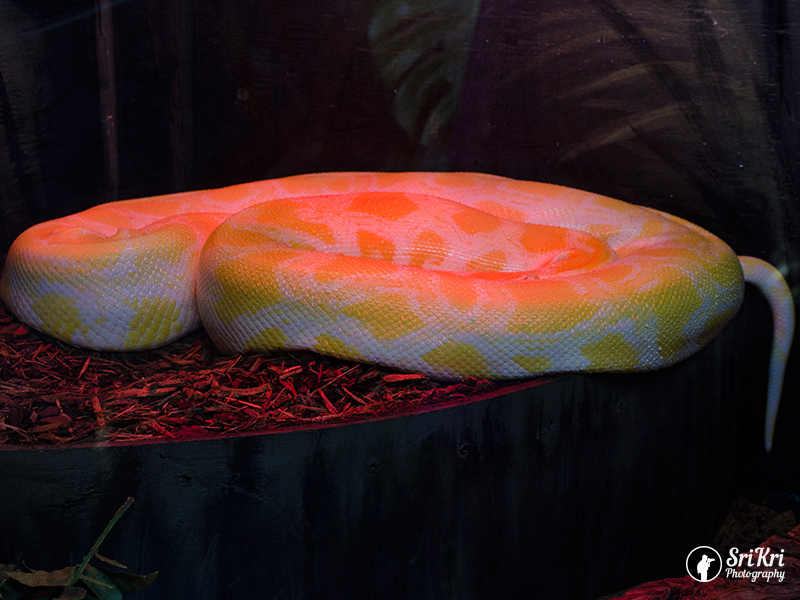 Bird Kingdom exhibits interesting, a different varieties of beautiful birds and reptiles. 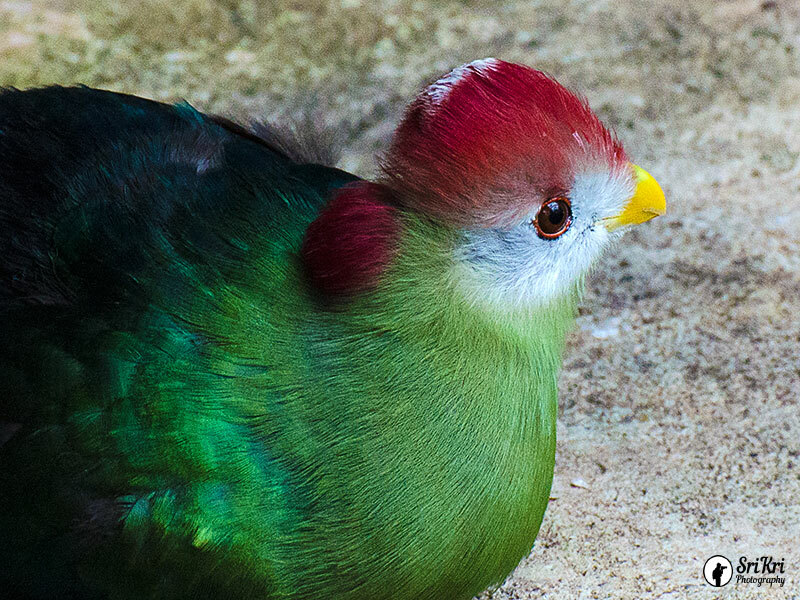 There are birds of small to larger size. 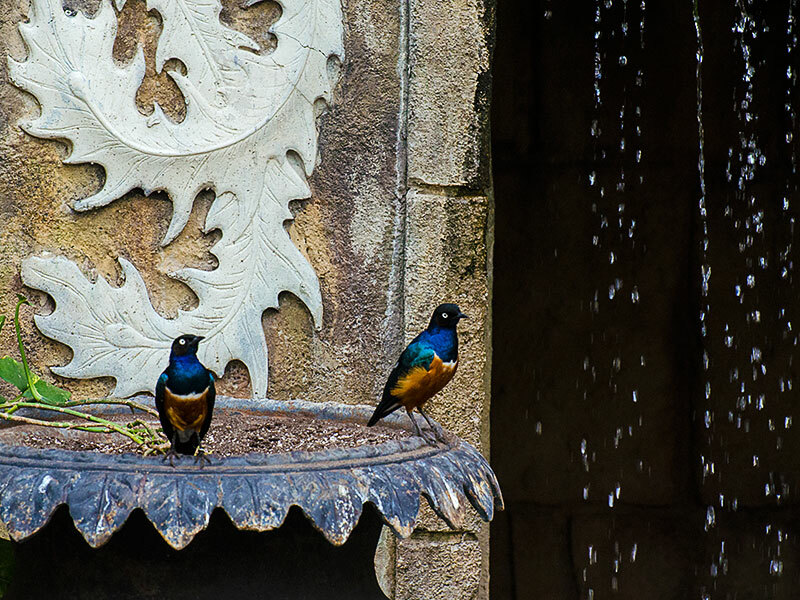 You can get close to free flying birds. Here visitors are allowed to feed Lorikeets. 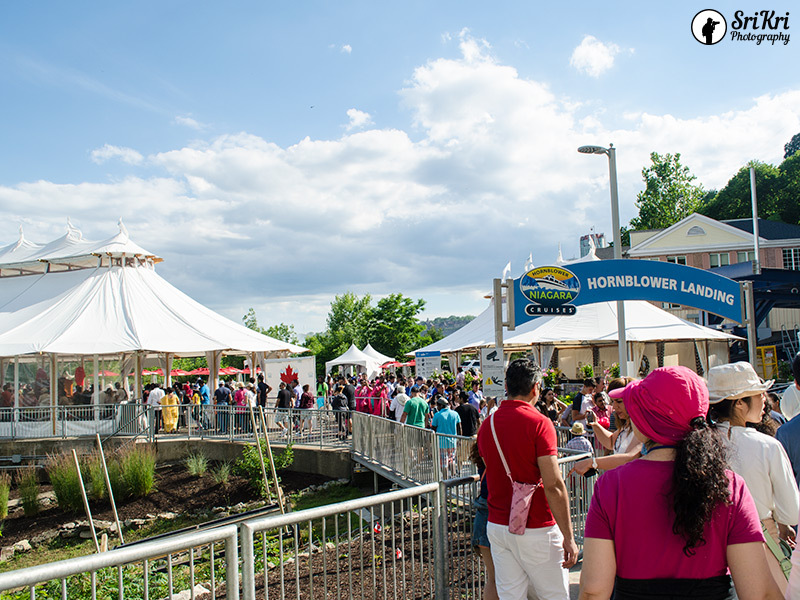 It is a cool place to spend approximately 1 hour with family. But, we spent little more than 2 hours taking pictures. 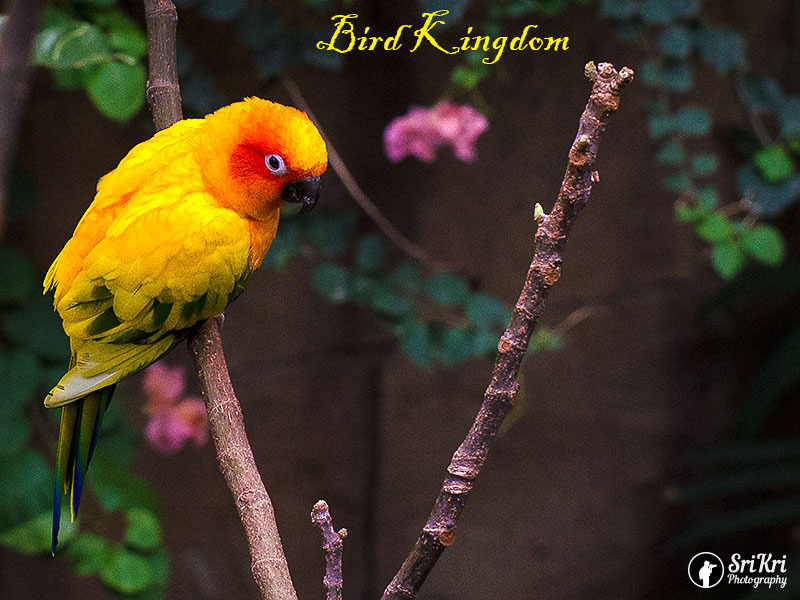 It was hard to take some of the birds picture do you to lighting. 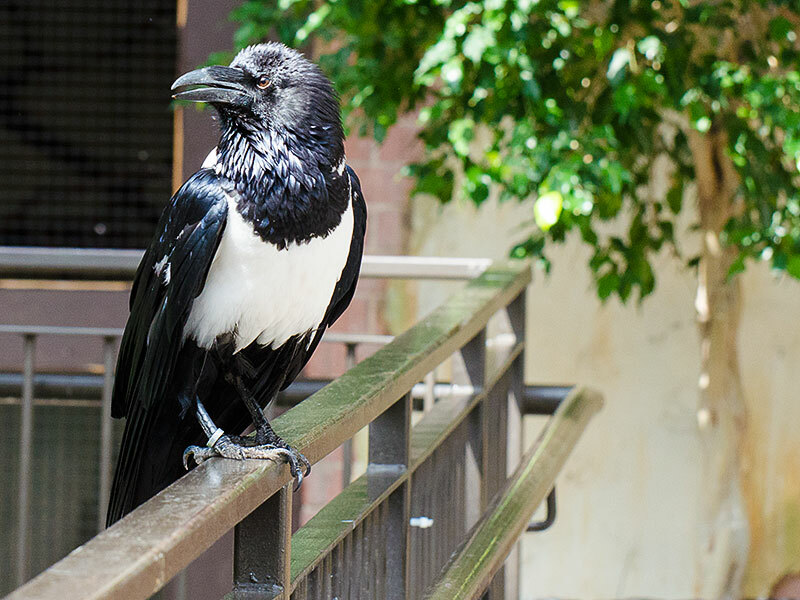 We had wonderful experience and enjoyed the colourful birds, especially at the top floor of the building. 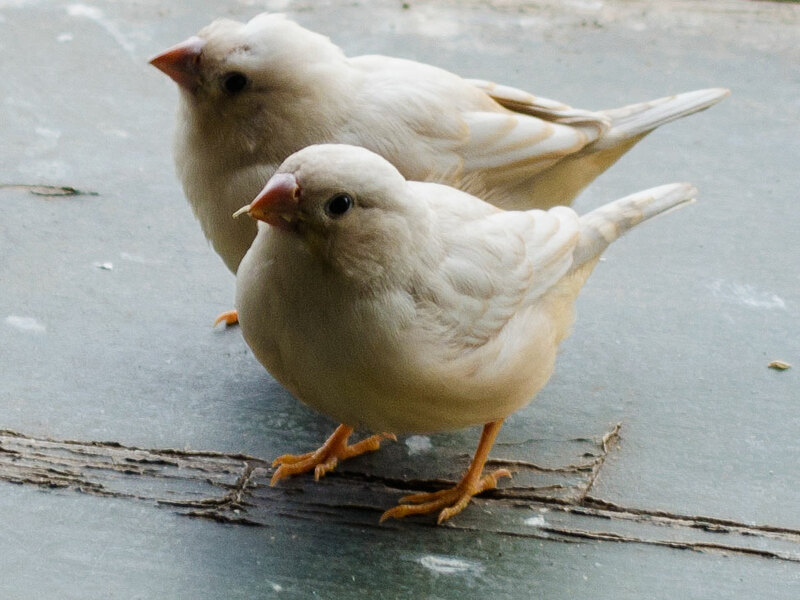 This is our first and unique experience of the indoor aviary. 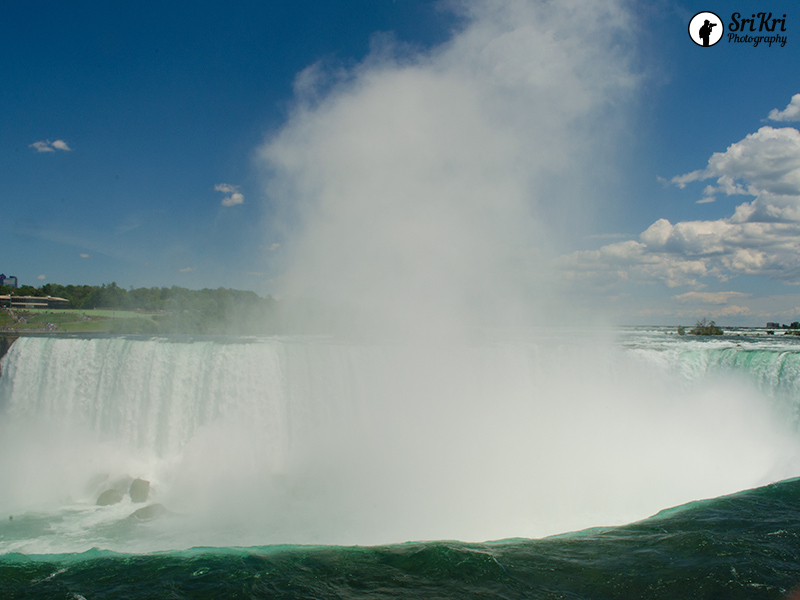 If you are visiting Niagara falls, make sure to visit both USA and Canada sides. This will give you complete picture of the falls. In this post we will take you through Canada side of the falls. 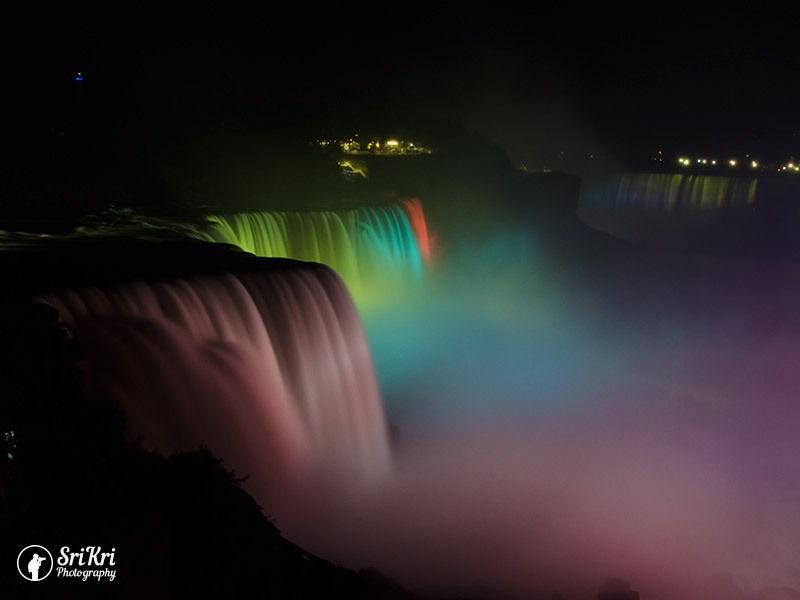 After last nights mesmerizing view of falls from USA, we headed to Canada. Clearing immigration was very quick and easy. It is advisable to carry Canada dollar, as in some place USD is exchanged for CAD 1:1. There are lots of parking place available. But during weekend, that to long weekend, getting parking near falls is not easy. We managed to park our car few kilometer away from the cruise. 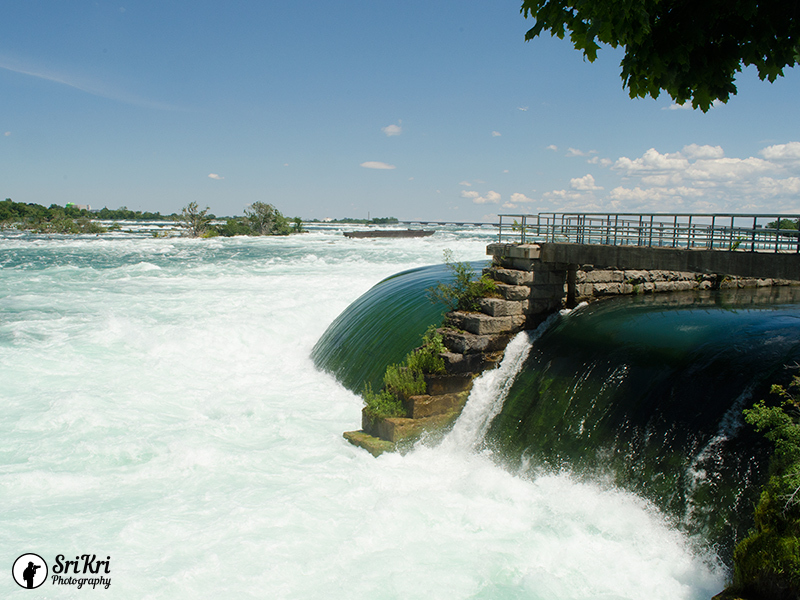 We strolled along the side of Niagara pathway enjoying the nature and magnificent beauty. 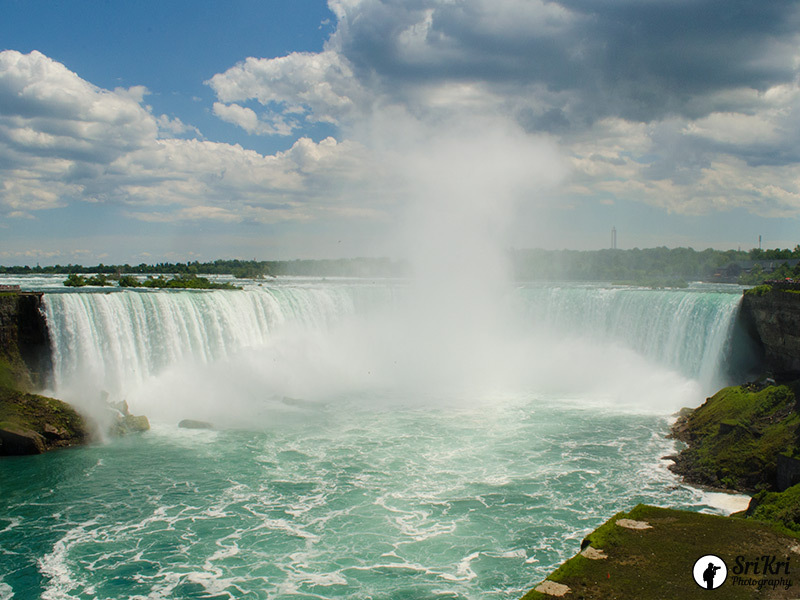 This is also called as Canadian falls, as most of the falls is in Canada. 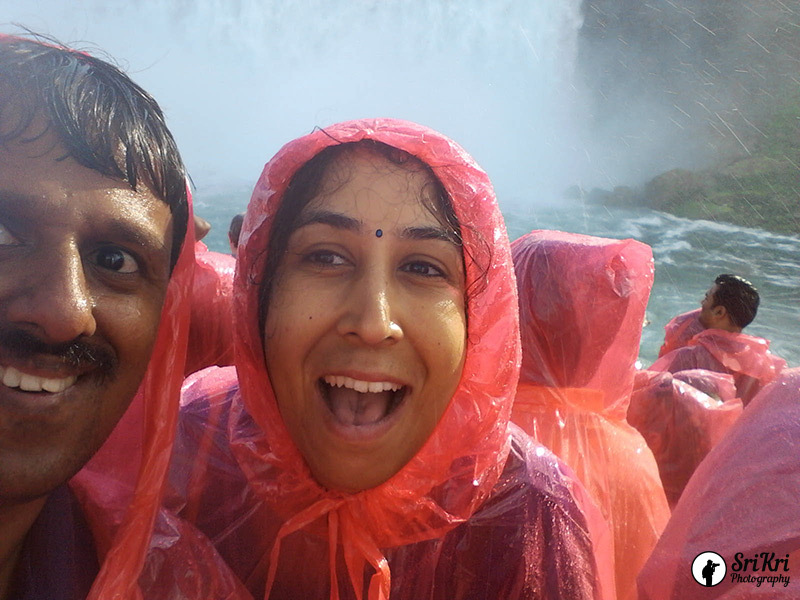 We took the Hornblower Niagara Cruises to get near the falls. There was long queue waiting for their turn to board. We were given red waterproof poncho before boarding. 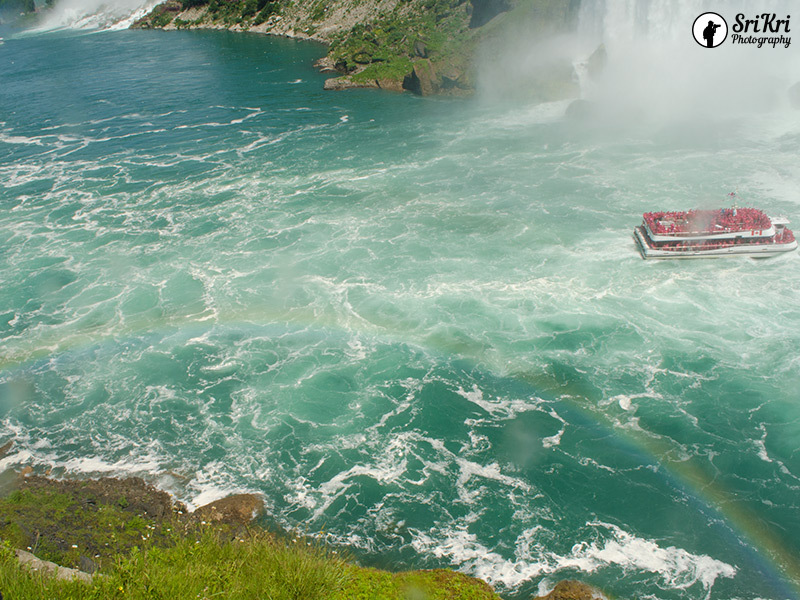 This boat takes you near American Falls, bridal falls and then finally into heart of the falls. Whooo!!! what a fantastic place to be. So close to the falls. Even though we were fully covered, still we got wet due to the mist and the wind blowing towards us. The whipping wind blew and the mist hit the boat thereby making everybody wet. It was like a storming rain and not the mizzle. The moment we could feel the experience of people when the Titanic ship got hit by the iceberg. Don't worry we are completely safe here ;-) . We had couple of minutes to enjoy the falls. 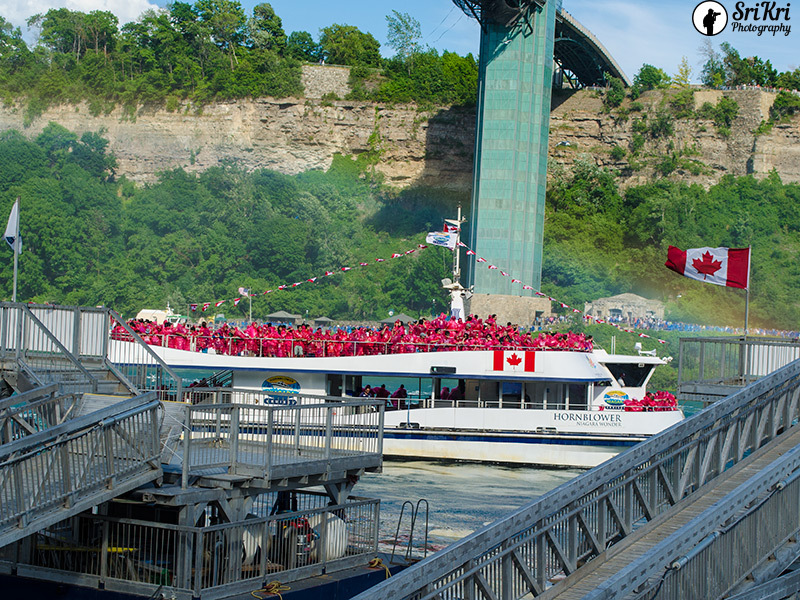 Maid of the Mist tour operates from American side and Hornblower cruise operates from Canadian side. These two offers a couple of different types of cruises and check the prices on their respective websites. We completed our trolley tour and got down near observation desk. That is what we thought so. After alighting, we realized it was different location than what we had planned. We walked few miles to reach the top of American Falls. We were very much excited to see both illumination and fireworks. Already illumination of the falls had began. Wowww!! what a lovely view it was. Spent 30 minutes enjoying the colours on the falls and capturing photos. Then we started searching for best location to capture fireworks. Before locating the position we tried to understand the place of firework display. After interacting with few people, we positioned our self few minutes before the start. But placing tripod and taking photo in the crowed was not going to be easy. Ahhh... Fireworks was just few minutes to start and battery completely drained out capturing illuminated falls. We were lucky that the near by shop was opened. We charged till the start of the fireworks. It was a Canada day. 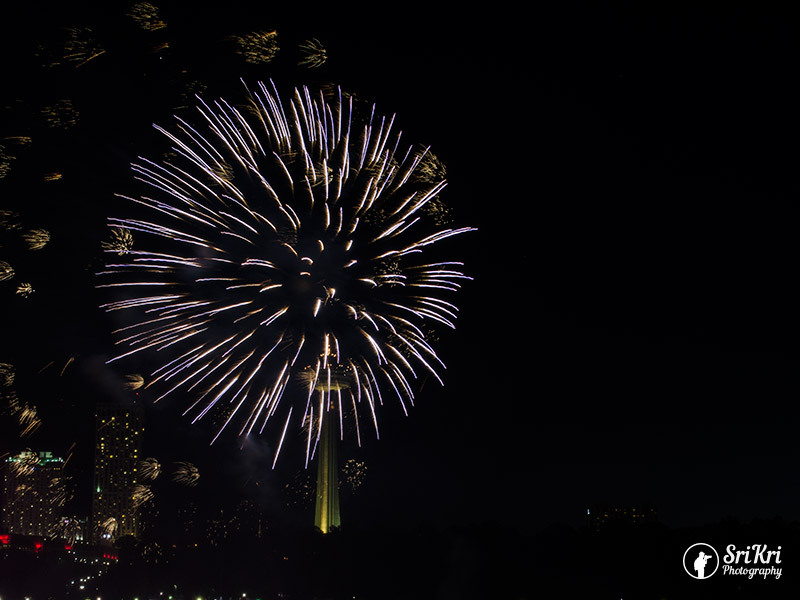 Hence the fireworks was on the Canadian side. 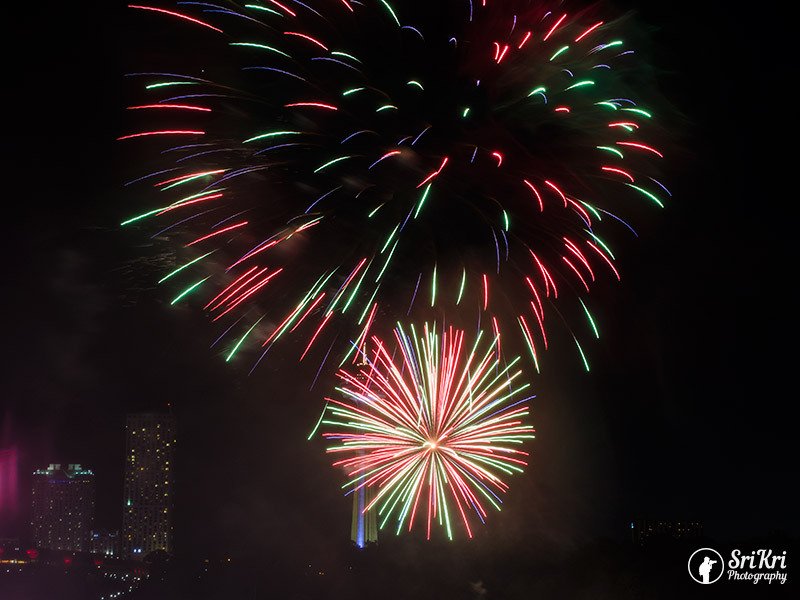 The spectacular fireworks display lasted for 10 minutes. There was lot of wow moments during the display. This is the first time we have seen a fireworks in such a large scale and we were happy to capture it. We were initially skeptical about taking photos as we had left the initial place and we had to be content standing behind the crowd. As the event started, we were able to get near the railings and take picture without any obstruction. Once the fireworks was over, we then proceeded to observation desk. 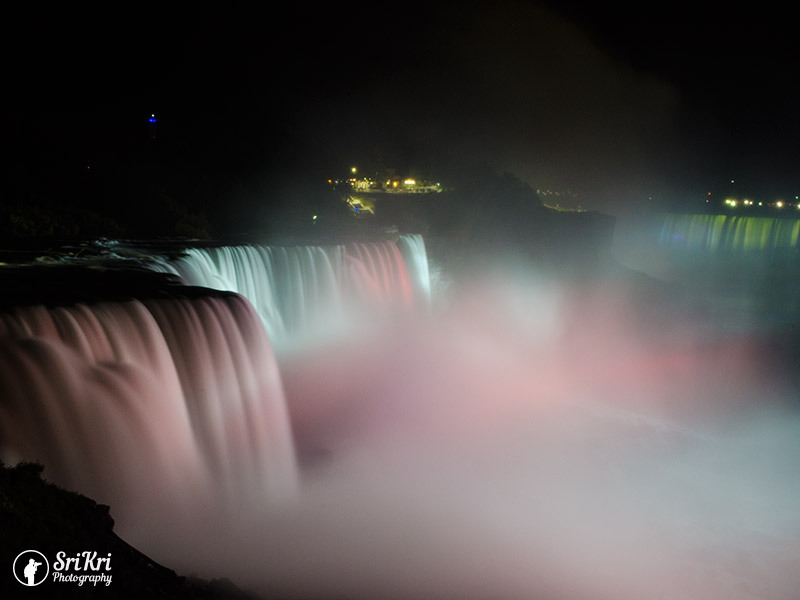 This is another vantage point where one can see the illumination of the falls. It was already 11 pm and we did not feel like leaving the place. We reluctantly left the place. We had to leave as we had to travel back 15 miles and start our Canada tour the next day. We loved the trip to Niagara falls. What an awesome view it was. "God has planned something special for us".